Tuang Mung is a 32-year-old man who has been on dialysis since 2012 after being diagnosed with end stage renal disease. A kidney transplant is his only hope to return to a normal life. Tuang grew up in Chin State in Burma before moving to the United States. He is an artist and enjoys drawing cartoons. He also used to sing with the choir and perform solos at his church, praising the Lord…he misses those days and longs to be able to do so again. He has not been able to work since he started on dialysis and is eagerly looking forward to doing so after he receives a transplant. Even with insurance, Tuang will have the costs of insurance premiums, prescription copays and expenses for frequent clinic visits that are not covered by his insurance. 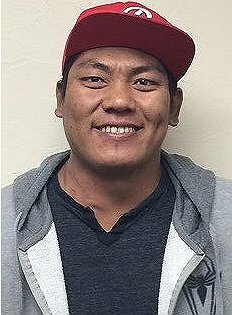 To help with the financial burden of Tuang’s uninsured expenses, a fundraising campaign in his honor has been established with Help Hope Live, a trusted nonprofit organization that has been providing community-based fundraising guidance to patients and their families for more than 30 years. All donations are tax-deductible to the full extent allowed by law, are held by Help Hope Live in the South-Central Kidney Transplant Fund, and are administered by Help Hope Live for transplant-related expenses only. Please consider making a contribution by clicking Donate Now. Donations of any amount will be much appreciated.